The modern supply chain is powered by an array of technological innovations. Electrification and control devices are the common denominator. For more than 90% of MHI member companies – operations would not be possible without these technologies. ECMA (Electrification and Controls Manufacturers Association) members are the industry’s leading manufacturers of electrification and controlling devices. They supply solutions to virtually every major manufacturing and distribution sector worldwide. 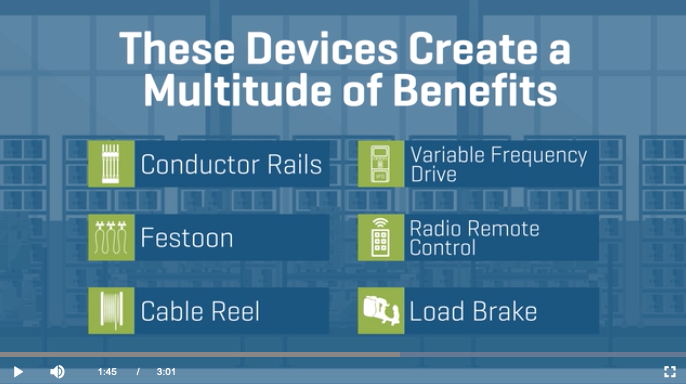 View the full video to learn more about how ECMA enables our modern supply chain.